Erika Meitner's fifth collection of poetry plumbs human resilience and grit in the face of disaster, loss, and uncertainty. These narrative poems take readers into the heart of southern Appalachia--its highways and strip malls and gun culture, its fragility and danger--as the speaker wrestles with what it means to be the only Jewish family in an Evangelical neighborhood and the anxieties of raising one white son and one black son amidst racial tensions and school lockdown drills. With a firm hand on the pulse of the uncertainty at the heart of 21st century America and a refusal to settle for easy answers, Meitner's poems embrace life in an increasingly fractured society and never stop asking what it means to love our neighbor as ourselves. 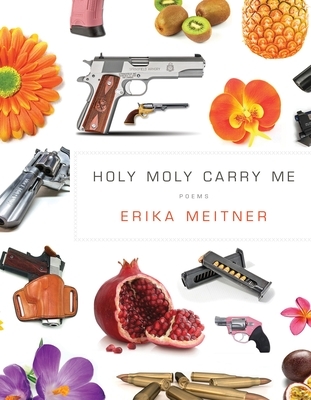 Erika Meitner is the author of five books of poems, including Ideal Cities (Harper Perennial, 2010), which was a 2009 National Poetry Series winner, Copia (BOA Editions, 2014), and Holy Moly Carry Me (BOA Editions, 2018). Her poems have appeared in The New York Times Magazine, Tin House, The New Republic, Virginia Quarterly Review, Oxford American, Best American Poetry, Ploughshares, and elsewhere. In 2015, she was the US-UK Fulbright Distinguished Scholar in Creative Writing at the Seamus Heaney Centre for Poetry at Queen's University Belfast, and she has also received fellowships from The MacDowell Colony, the Virginia Center for Creative Arts, the Blue Mountain Center, and the Wisconsin Institute for Creative Writing. She is currently an associate professor of English at Virginia Tech, where she directs the MFA and undergraduate programs in Creative Writing.